You may be in the process of assisting an aging parent in need of nursing home care. There are many regulations and eligibility requirements to obtain governmental assistance to help pay for their care. Consultation with an elder law attorney is critical before proceeding to making sure actions are not taken that would penalize them from getting the care they need. Medicaid is a needs-based program that is administered by the state. Therefore, many of its eligibility requirements and procedures vary across state lines. 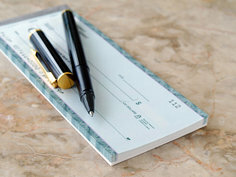 Generally, when an applicant is an owner of a joint bank account, the full amount in the account is presumed to belong to the applicant. Regardless of how many other names are listed on the account, 100% of the account balance is typically included when calculating the applicant’s eligibility for Medicaid benefits. If you are considering Medicaid for a loved one, it is important to seek expert advice on how to deal with assets and income correctly. Preplanning or a strategic crisis plan can make the difference between qualification and disqualification.